​Please use the link below to view the presentation. Parents, Kids & Drugs - Who's winning? ​Please see attached to book your Parent Teacher Interviews. Paper copies have been sent home to each family as well. ​ The 2017 Terry Fox School Run was a great success! Dessert Theater "The Groom Has Cold Feet"
​Kindergartens will attend school every even full day of the six day cycle beginning on Wednesday, Sept. 6th. Please check out the pvsd 6 day cycle calendar for further information. It will also be in the agenda when we recieve them. ​The 2017-2018 supply lists have been updated and you can find them under Students at the top of this page. ​TWIN DAY on wednesday, Nov. 16th MUSTANG DAY on Thursday, Nov. 24th These were missed on the calendar. Lifetouch Pictures order DUE OCT. 7TH. ​Please have all picture orders back to the school for Friday Oct. 7th. Registration Open from April 4th until April 10th at 6:00 PM Please use event code: xvfyx (please use all lower case) Please click here to access Please note: Those students who are scheduled for Indivualized Intervention Plan meetings have been scheduled through the office. Congratulations to boys' and girls' teams on a great season! The McLean School SCC will be putting on a Bake Walk during the Winter Carnival. See below for details: What better way to get into the spirit of the holidays than with a "Bake Walk"? All DQ hot lunch orders are due Friday, November 6th. ​ Please click below for a form. ​Please come out to the SCC AGM Elections on Wednesday, October 28th @ 7pm in the McLean Library. McLean School Winter Concert - Tuesday, December 16th Doors open - 6:30 PM. - SCC Cookie Walk​ Performance - 7:00 PM. 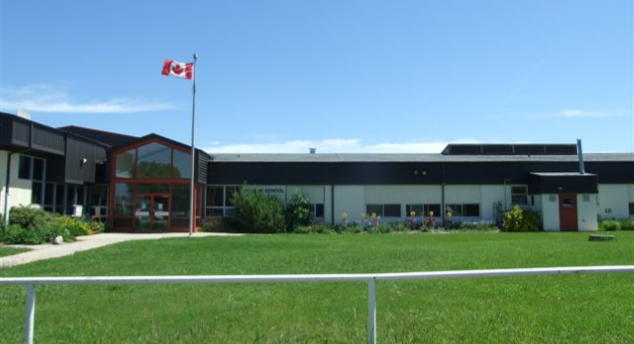 Balgonie​ Elementary - Tuesday, December 9th. BUS LEAVES AT 9:00 AM. ​Please be reminded that all hot lunch orders are due tomorrow. Attached is an order form if you do not have one. ​Please see the attached message from the Prairie Valley School Division Board of Education. ​McLean School will participate in the annual Terry Fox Run on Tuesday, September 24th at 11:00 AM. ​5 days of summer vacation remaining! We are extremely excited to see our students back at school and look forward to a year of learning, challenges and many successes! Enjoy the remainder of your summer! June 7th Library is closed for students to sign out books. Students will be allowed to use library resources within the library right to the end of the school year. June 12 All library books are to be returned to the library. Tuesday, March ​5th - Leave at 3:30 PM. ​McLean SCC will provide a hot lunch to students and staff on Wednesday, January 23, 2013. Forms have been sent home with students and are due back on Friday, January 18. The PVSD Parent Engagement Conference has been cancelled due to low registration numbers. Sorry for any inconvenience. This message is sent on behalf of Sharon Bender the Supervisor of Transportation for Prairie Valley. ​ McLean School will bid farewell to the Grade 8 class of 2012 on Monday, June 25, 2012. Ceremonies will commence at 7:00 p.m. in the gym. Everyone is welcome to attend. ​Parent/Teacher interviews that were scheduled for Thursday, March 29, 2012 have been changed to Tuesday, March 27, 2012. Notes will be sent home with students within the next week indicating your scheduled date and time. McLean School Christmas Carnival/Concert is being held on Wednesday, December 14 at 7:00 p.m. We ask that students be in their homerooms at 6:45 p.m.
​The McLean SCC meeting that was scheduled for November 22 at 7:00 p.m. has been re-scheduled for Tuesday, November 29 at 7:00 p.m.
Lifetouch will be at the school at 1:00 p.m. on April 14th to take farwewll photos​.